The face of Big Oil could become America's top diplomat. President-elect Donald Trump is interviewing ExxonMobil (XOM) Chairman and CEO Rex Tillerson on Tuesday to consider him for the secretary of state position, according to one Trump aide. Tillerson is considered a long shot for the most prestigious Cabinet role, but the Trump aide told CNN that the president-elect is intrigued by the oil man's view of the world. Other leading contenders for secretary of state include Mitt Romney, Rudy Giuliani and David Petraeus. Tillerson would be the latest multimillionaire to join Trump's cabinet and he could prove to be a controversial pick. 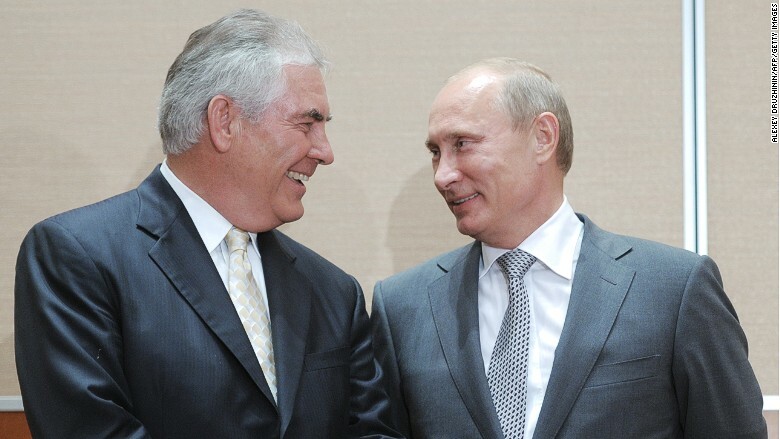 Not only does Tillerson run the world's most valuable oil company at a time of serious concern about climate change, but the Exxon CEO also has ties to Russian President Vladimir Putin. In 2011, Exxon inked a deal with Russian oil giant Rosneft to provide access to lucrative oil resources in the Arctic. The agreement could be a point of contention if Tillerson is appointed, especially since Democrats and national security experts have accused the Trump camp of cozying up to Russia. The Russian government is Rosneft's largest shareholder, and Putin attended the Exxon signing ceremony. In 2013, Putin awarded Tillerson the country's Order of Friendship. Under Tillerson, Exxon is also grappling with legal scrutiny. Last year, the New York Attorney General launched an investigation into whether Exxon withheld information about the risks of climate change. Both the SEC and NY AG are also probing Exxon's accounting methods, focusing on whether the company should have lowered the value of its oil and gas resources given the crash in energy prices. Tillerson, 64, has served as the head of the Exxon oil empire since 2006. He will reach the company's mandatory retirement age of 65 in March and is expected to retire then. Through the end of 2015, Tillerson has made more than $240 million as CEO, according to an analysis from board and executive data provider Equilar. That total includes his base salary, bonuses, stock awards and other compensation over 10 years. Trump has made no secret of his desire to be friendly with the oil industry. The president-elect wants to unleash the country's natural resources by rolling back drilling regulations and drilling on federal lands. 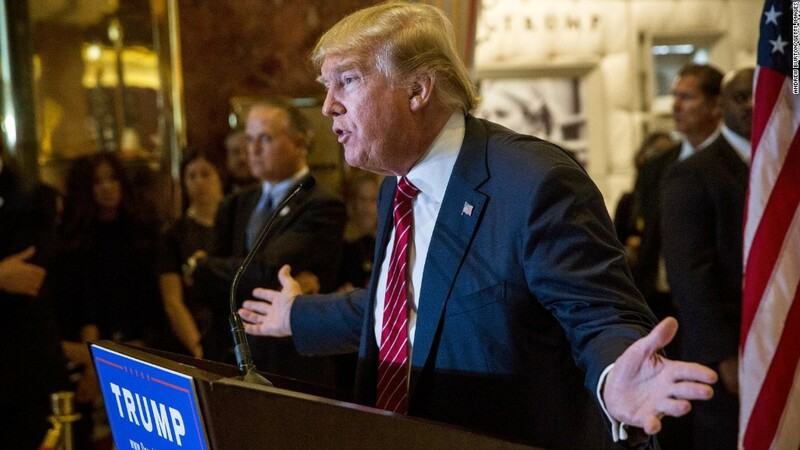 Trump, who ran for president as a populist outsider who promised to "drain the swamp" in Washington, has so far nominated other ultra-wealthy people for his cabinet. Among the richest nominees so far are billionaires Wilbur Ross for secretary of commerce and Betsy DeVos for secretary of education. Trump's pick for deputy secretary of commerce, Todd Ricketts, is the son of a billionaire and co-owns the Chicago Cubs. His would-be Treasury secretary is former Goldman Sachs (GS) banker and Hollywood bankroller Steven Mnuchin. Chief strategist Steve Bannon also worked as a Goldman Sachs banker before serving as chairman of Breitbart News. Whether he goes to the Trump administration or not, ExxonMobil is poised to lose Tillerson at a critical time. Feeling the effects of low oil prices, Exxon is currently facing a long slump. Its U.S. pumping business lost $477 million last quarter for its seventh consecutive quarter in the red. Exxon has signaled that Tillerson's heir apparent is Darren Woods. The company promoted Woods, who leads Exxon's massive network of oil refineries and fuel terminals, to the position of president a year ago.